Poos-Benson keeps readers engaged with constant questioning and spiritual analysis. Self-help books that urge us to follow our passions, find our bliss, or live our true purpose tend to be one-note wonders—often aligned with a single philosophical or religious perspective. Not so with Rev. 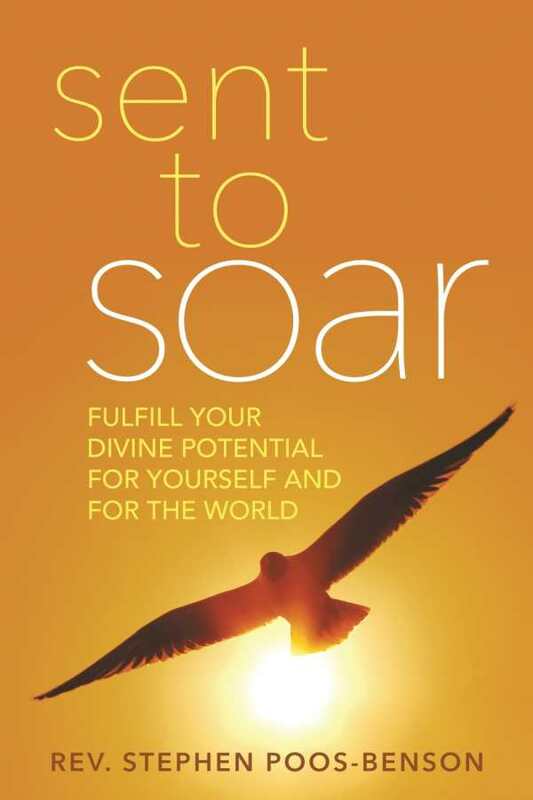 Stephen Poos-Benson’s Sent to Soar: Fulfill Your Divine Potential for Yourself and for the World. Poos-Benson’s informed and thoughtful interfaith study of life choices instead draws lessons from a wide array of the world’s spiritual traditions. Poos-Benson delivers his message with urgency, speaking directly to his readers in the familiar cadence of a charismatic preacher. He asks, “Have you ever felt that you were supposed to be doing something more with your life?” And he responds to his own question with the answer that is at the heart of Sent to Soar: you have a holy destiny. To his great credit, Poos-Benson doesn’t give just his own opinion; instead, he looks at “destiny” from many angles. While he’s most comfortable with the language of Christianity—biblical examples outnumber all others—Poos-Benson looks into a variety of spiritual traditions, from Baha’i to Taoism. What he finds across the board are stories about individuals who were sent into the world by an Ultimate Being, with a particular mission. Whether it’s Jesus, Krishna, or Muhammad, Poos-Benson finds that all of the world’s religions talk about people sent to fulfill a divine purpose on earth. As spiritual as his message is, Poos-Benson doesn’t take it all on faith. He’s willing to grapple with the concept of free will—what he humorously calls the “holy hairball” of religion—which appears to put a dent in his destiny theory. And he wonders how he can explain people who make questionable, even unfathomable, choices. Poos-Benson doesn’t find easy answers here, which paradoxically gives his argument greater weight. It’s not an academic question to this pastor, who was among the first responders at the Columbine school shootings in 1999. He’s seen people choose behaviors that are pure evil, and while he doesn’t claim to understand, his faith in a greater plan remains unbroken. Each chapter contains thoughtful prompts that encourage deep personal consideration. Case studies drawn from experiences of his friends, family, and parishioners personalize his message, bringing “purpose” from an abstract notion to a practical, useful concept that applies to everyday matters, from relationships to career choices. Sent to Soar is an interesting and inspirational self-help book that could help readers see their lives in a new light.